Roaring Brook Press, 9781626722354, 40pp. 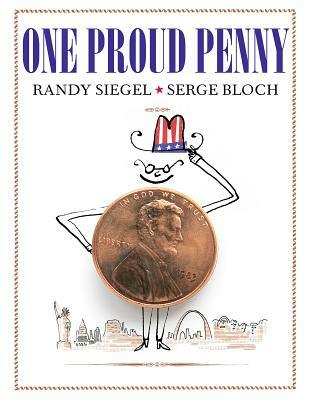 Randy Siegel's quirky, informative text mixed with Serge Bloch's spare but exuberant illustrations (which make use of real pennies) make this book a must-have for lovers of American history or just a good story. Randy Siegel is the author of Grandma's Smile for Roaring Brook Press, which Publisher'sWeekly called, "a wry and contemporary reality check on the going-to-Grandma's genre." Siegel has written for newspapers and magazines around the country and works for Advance Publications in New York City. Serge Bloch is a Society of Illustrators Gold Medal winner and the recipient of France's Baobab Award. He illustrated Susie Morgenstern's A Book of Coupons, named an ALA Batchelder Honor Book, and has written and illustrated numerous books for children and young adults. He lives in Paris.